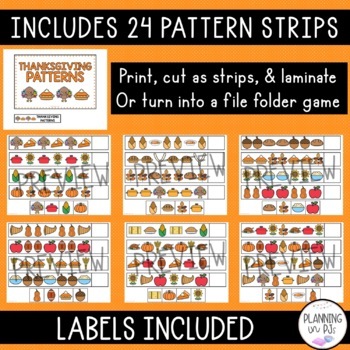 Practice patterning with these Thanksgiving-themed worksheets! 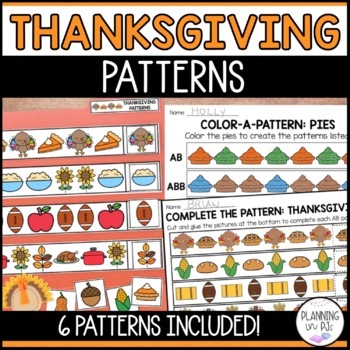 6 worksheets included, each showing a different pattern - AB, ABC, ABB, AABB, AAB and ABCD. 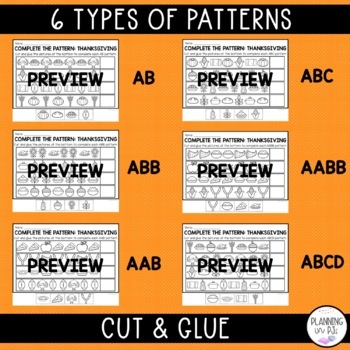 Each worksheet has students cut and glue images from the bottom of the page to complete the given pattern. Students can also color in the images. For more THANKSGIVING activities, click HERE!